The winning SGS carnival competition submissions are coming to life next week! 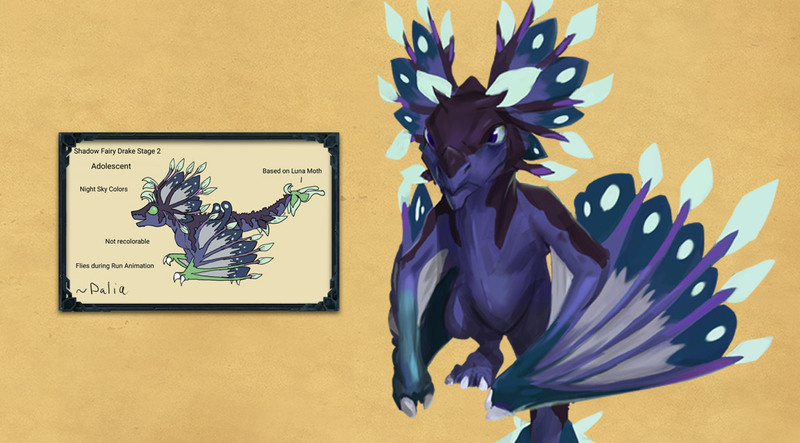 From March 4th players will be able to pick up the winning Wyvern Cape and the runner-up duo of the Fairy Drake and Night Fairy Drake from Solomon’s General Store. 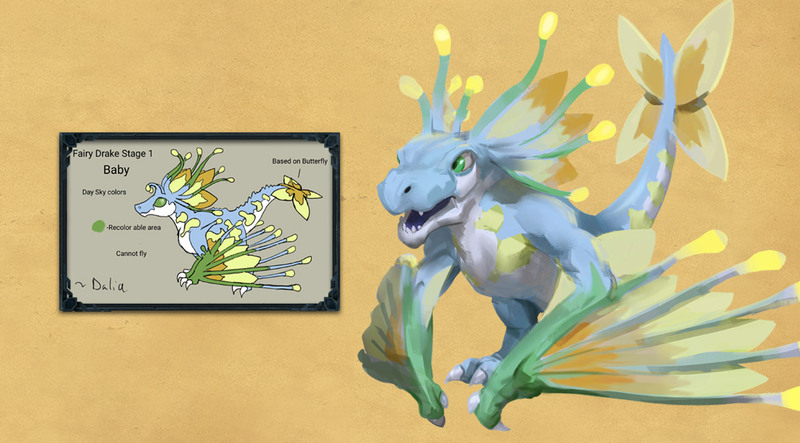 The appeal of the ‘Party Wyvern’ is pretty obvious, we think. We love it! 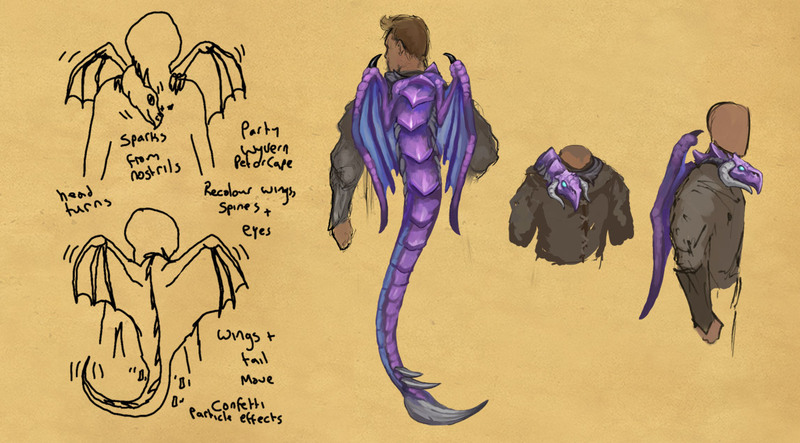 With our current tech this item is a static non-animated creature wrapped around the player.